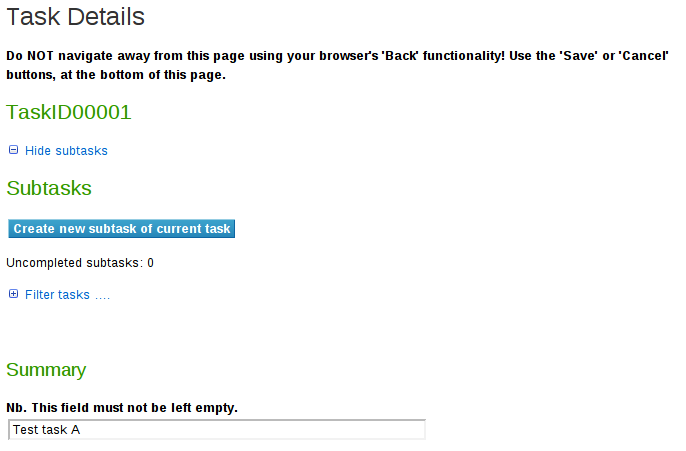 TaskManagementContrib is not installed on Foswiki.org. 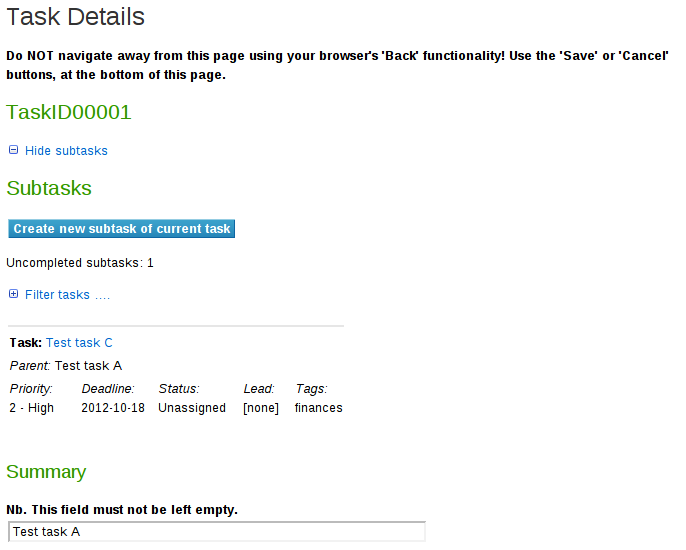 A simple Task Management System Wiki App. 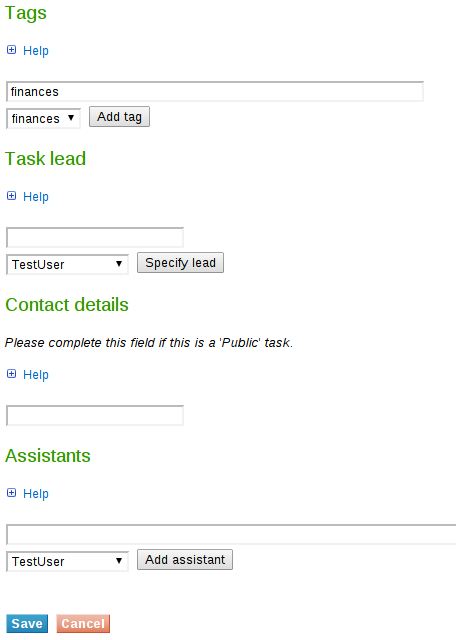 Specify task deadline, priority, task lead, current status and more. 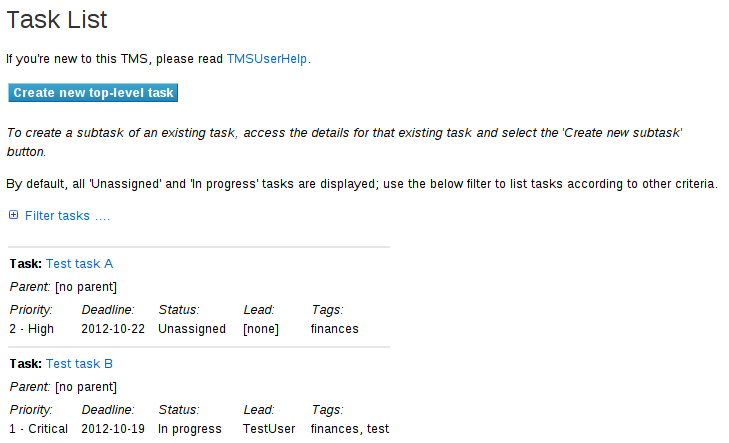 Assign one or more tags to tasks. Additionally specify particular tasks as being available to volunteers from the general public. 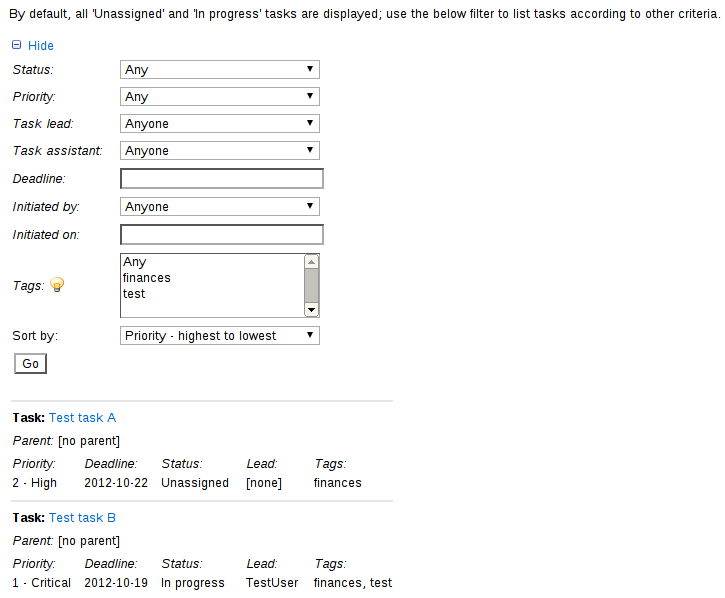 Filter and sort tasks by various criteria, including task lead, task assistants, tags, deadline and priority. UI designed with smartphones in mind. Easily modify presentation of particular UI components via CSS. 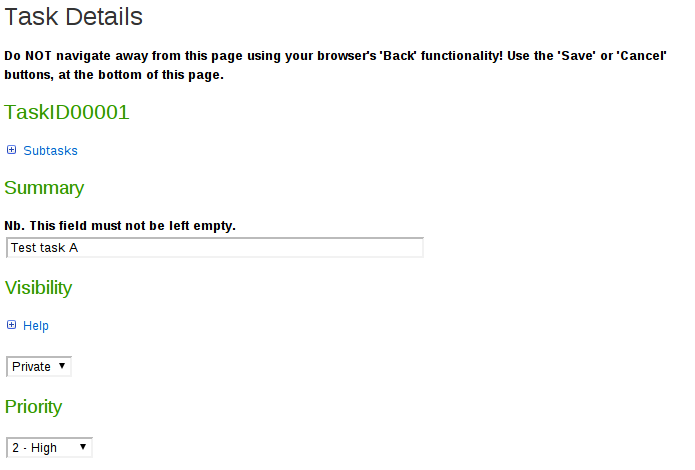 After installation, information about setup and use can be found in TMSAdministratorHelp and TMSUserHelp. Compatibility Tested on Foswiki 1.1.4. 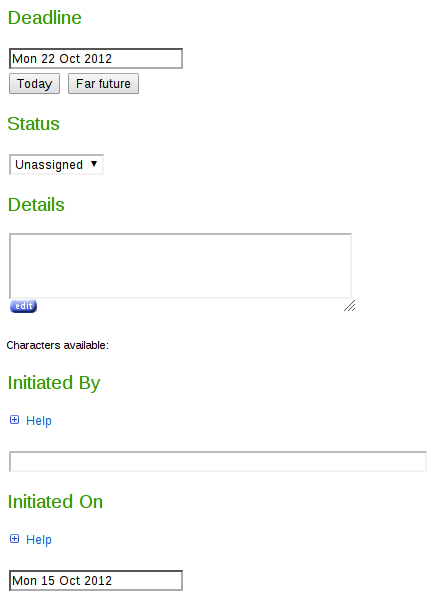 Topic revision: r3 - 16 Oct 2012, AlexisHazell - This page was cached on 25 Apr 2019 - 07:34.